Card Making and Scrapbooking are wonderful pastimes and the end product, the handmade card or scrapbooking page is such a lovely thing for someone to receive. The recipient is entitled to feel special because the card / page was tailor made for them. To do justice to the specialness of the card/page, shouldn't the same personal touch be applied to the poem or verse? This section is to help those who need it to write original verses and/or to personalise general or traditional poems or verses. There are many different rhyming schemes and forms and some even have their own names, like sonnet, limerick and clerihew but let's leave all the clever stuff to skilled rhymesters, who do not need to be reading this. Verses or poems do not have to rhyme and if there is something very moving, poignant or important to say it's not worth trying to contrive a rhyme for it's own sake. It has been said that free verse (non rhyming) favors the serious while rhymes are suited to humor or light material. 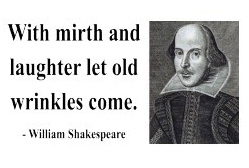 I tend to favor rhymes for card verses as they are usually, but not always, light and in any case I have found that seeking a rhyme has often led to additional poignancy. If the name (Sunday name or shortened name) is no good for rhyming, how about the initial? The numbers up to ten are pretty good for rhyming except 7, there's "heaven" "eleven" "Devon" and "Kevin" and little else. When it comes to rhyming with twenty, there's plenty. By that I mean there's only one, the word "plenty"
The special ages of 30, 40, 50, 60, 70, 80...are not good for rhyming but when used as "the big three-O", "four-O", "five-O" and so on, the rhyming possibilities greatly increase. The -oe- sound has lots of simple rhyming words/expressions like ago, get-up-and-go, from-top-to-toe, show, slow and so on. You've reached the big "Four-O"
Does Billy like to take a drink? ...You'll be galloping up the hill"
When those piles are gone forever! Birthdays shared with a Celebrity can be a useful source of inspiration for both the theme of the design and also the verse inside. For example, if you were making a card for a man who is keen on cars, and driving generally, and his birthday happened to be 17th September you would have really struck lucky because your man shares a birthday with, not just Damon Hill, but Stirling Moss as well. Similiarly, a keen golfer born on 9th February shares a birthday with Sandy Lyle and Bernard Gallagher. And so good looking or what? More variations on the theme..
We all know a rat or two, thankfully the occasional tiger (but note, Tiger Woods, ironically, is a rabbit), a few snakes (in the grass), several sheep, the odd cheeky monkey & more dogs than you can shake a stick at. Beefy and juicy, that's my ox, oh! Strictly speaking, it is about the year of birth but the concept needn't be confined to just birthday cards. Anniversary cards could use this theme, the year representing the birth of the subject's marriage. We hope this has given you a few ideas or, at least, expanded your options. Although all these example verses are available for card makers to use, this whole piece on writing personalised verses is copyright of Jon Bratton 2007, and individual verses may not be used by commercial companies.